surely you have already realized that Santiago de Chile is an amazing city with so much to see and do. Nevertheless, during your au pair stay in Chile, you should not miss the surrounding area. Today we show you the top 3 destinations that are easy to reach from Santiago on a (long) weekend. 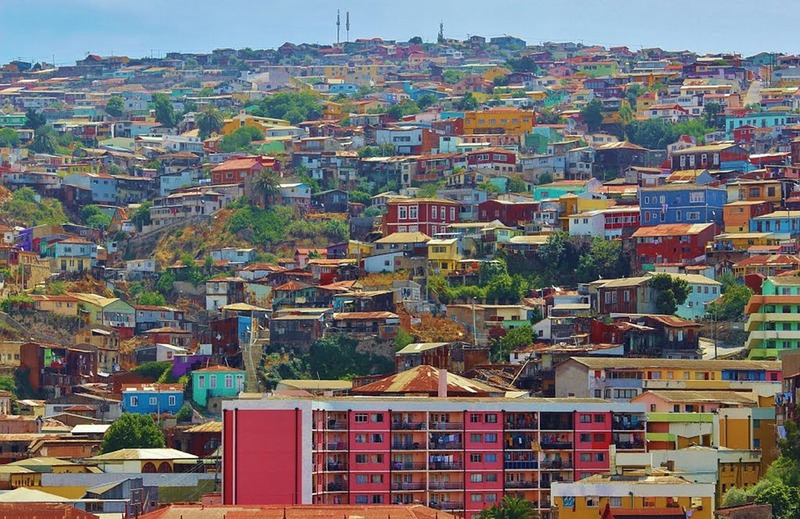 The picturesque city of Valparaiso is located on a beautiful bay of the Pacific Ocean. The harbor is one of the most important in the country. Before the opening of the Panama Canal, the port of Valparaiso was the most important in South America. The special charm of the city is considered world famous and is the basis for numerous literary, musical and artistic interpretations. Valparaiso has a very special flair that you must experience by strolling through the city, which is in itself a work of art. It’s hard to find a road that is not strayed with street art. The city is considered the cultural capital of Chile. In July 2003, the historic center with its exceptional 19th and 20th century architecture was declared a World Heritage Site by UNESCO. The inhabitants of Valparaiso are called in Spanish Porteños (from span. Puerto, port). The climate in Valparaiso is Mediterranean and very similar to the climate of San Francisco. Even in summer, the location at the Pacific coast ensures sea breeze and moderate temperatures (rarely over 30 ° C). Be sure to bring a jacket, as it is always very windy and cooler than in Santiago. To get to Valparaiso, take the subway line 1 to the Pajaritos stop. There you will find a bus station. Every 5 to 15 minutes several bus companies go to Valparaiso. Compare prices is worth it! The journey takes only about 1.5 hours. Viña del Mar is right next to Valparaiso and is the complete opposite. The beauty and the beast could also be said to the two neighboring towns of Valparaiso and Viña del Mar. Where Valparaiso is the beast (due to the magnificent chaos and crazy architecture and street art) and Viña del Mar is the beauty (due to the elegance of the long sandy beach and the glamor around the casino). Viña del Mar was created as the summer residence of the Chilean upper class. Here you will find fine hotel accommodations, a 1930s casino known throughout South America, international restaurants, endless sandy beaches, wide palm avenues, boutiques and souvenir shops. The city lives almost exclusively on tourism. In summer, especially visitors from Santiago, Brazil and Argentina transform the city into a single beachfront entertainment district. The best time for a well-groomed stroll through Viña is the late summer, when the city belongs once again to its permanent residents. 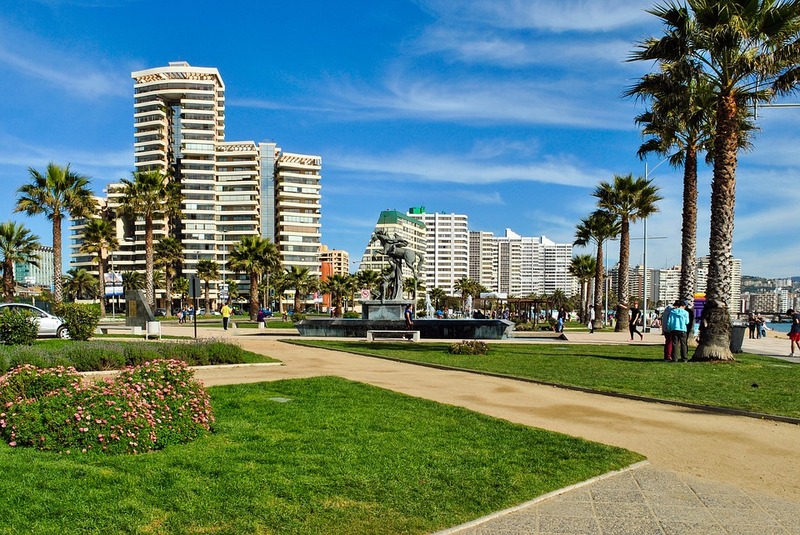 On the Avenida Peru you can enjoy the view of the sea, the sunset and the golden palm leaves. For Viña del Mar the same instruction on how to get there apply as for Valparaiso, with the difference that the final destination is Viña del Mar. About 3.5 hours by bus from Santiago de Chile is the hip beach town of Pichilemu. If you like surfing or at least want to learn it, you should not miss a visit to the Chilean surfer hotspot Pichilemu. 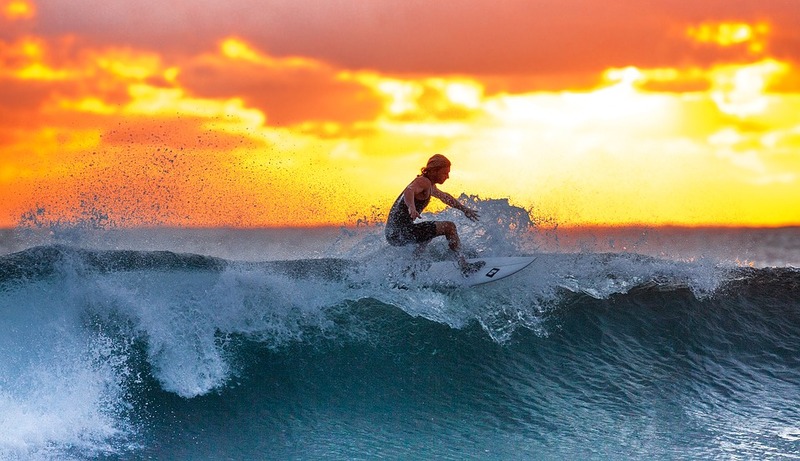 The former sleepy fishing village is internationally known for surfing competitions. However, it is also suitable for beginners, as you can run into the sea for a long time at the beginners’ beaches and can stand there if necessary. In addition, you can go horse riding in the adjacent woods or just laze on the beach. Pichilemu is also known for his especially good empandas … .Yami! ← Winter in Santiago, Time for some culture!